TARGETED BREAKOUT CORRECTOR! ACNE PILLS! Dr Complexion targeted breakout corrector is the ultimate treatment for mild to severe acne. 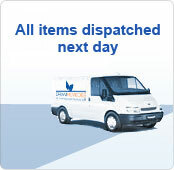 The pills get to work straight away and provide a powerful internal defence against acne breakouts. The unique formulation of the acne pills have been clinically proven to guarantee great results fast! 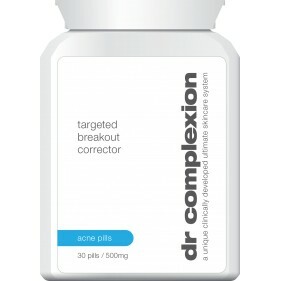 Dr Complexion targeted breakout corrector acne pills eliminate cystic acne, blotchiness and redness. The acne pills work quickly to dissolve excess oil and combats problem-causing bacteria. The active ingredients keep skin clear and tackle the causes of spots. You will have a clear spot free complexion. • Ultimate treatment for mild to severe acne!• Pills provide a powerful internal defence against acne breakouts!• Active ingredients keep skin clear and tackle the causes of spots!• Pills work quickly to dissolve excess oil and combats problem-causing bacteria! • Dr Complexion products are formulated using 100% safe ingredients!• Our treatments are clinically tested & developed alongside a team of experts!• Dr Complexion products guarantee great results, fast!• Look and feel great!